How do I get these parts (see picture) away? How can I change the spacing to reduce this announcement? But without the subjects including affected. How can I set the theme tutorials look like? So with profile on the left side? 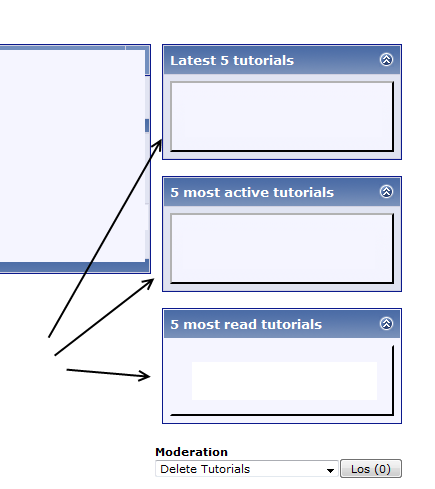 1: ACP -> GARS -> Modules -> click a module set link -> click the Forumdisplay radio button -> add the Top module (can be added more than once) -> after adding the Top Module click the Top link and configure as desired. 2: Try editing the vB threadbit_announcement template, maybe setting a width attribute in the TD tag for that box area. 3: Not sure what you mean.